H-1B season is just around the corner, and as it is expected that the demand for H-1B visas will remain strong this year as in years past, employers desiring to be considered in Fiscal Year 2019’s H-1B lottery are encouraged to start the process now. U.S. Citizenship and Immigration Services (“USCIS”) will begin accepting H-1B petitions on Monday, April 2, 2018. Created in 1990, the H-1B program allows companies to temporarily employ foreign workers in occupations that require the theoretical and practical application of a body of highly specialized knowledge and a bachelor’s degree or higher in the specific specialty, or its equivalent. H-1B specialty occupations may include fields such as science, engineering, and information technology. A congressionally mandated cap limits the number of available H-1B visas to 85,000 every fiscal year, with 20,000 reserved for beneficiaries with a U.S. master’s degree or higher. For the past five fiscal years, employers have filed more H-1B petitions than there are available visas, resulting in a computer-generated random selection process, or lottery, to determine which petitions are selected for processing. This past year, USCIS received 199,000 petitions during the filing period, resulting in approximately 42.71% of the petitions being selected for processing. Petitions not selected in the lottery are returned along with the filing fees. Importantly, petitions filed on behalf of current H-1B workers who have been counted previously against the cap, and who still retain their cap number, are not counted toward the congressionally mandated cap. Immigration issues and related policy considerations have been near the top of the newsfeed during the Trump Administration’s first year in office. Although there have not been any formal regulatory changes to the H-1B program, employers should be aware of the changing landscape within which H-1B petitions are now being adjudicated (likely as a result of President Trump’s Buy American and Hire American policy initiative, which seeks to protect the economic interests of U.S. workers and prevent fraud and abuse within the immigration system). Due to this policy and other initiatives, practitioners have witnessed an uptick in Requests for Evidence issued with respect to whether a position is H-1B caliber and whether a beneficiary is qualified for the position. Employers should carefully prepare their H-1B petitions with an eye toward addressing these potential issues to (hopefully) avoid any delay in processing. Formal regulatory changes to the H-1B and H-4 programs may also be on the horizon. The current administration is pursuing regulatory changes to the H-1B program that would revise the definition of specialty occupation to increase focus on obtaining the best and the brightest foreign nationals via the H-1B program, revise the definition of employment and employer-employee relationship to better protect U.S. workers and wages, and propose additional requirements designed to ensure employers pay appropriate wages to H-1B visa holders. No specifics have been provided, but a proposed rule is anticipated in October 2018. The current administration is also pursuing the end of the H-4 employment authorization program, which is available to certain dependent spouses of H-1B beneficiaries who are seeking employment-based lawful permanent resident status. The program remains in effect at present, but a proposed rule is anticipated in February 2018. 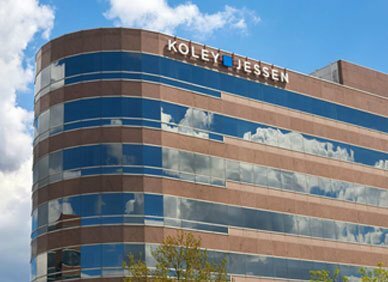 If you have questions about petitioning for H-1B workers or other general questions about employment-based immigration, please contact one of the immigration specialists in Koley Jessen’s Employment, Labor and Benefits Practice Group.